U.S. Route 66, the Will Rogers Highway or the Mother Road, whatever you choose to call it, it’s the ULTIMATE American road trip. Established in 1926, RT 66 was a major road for people driving between Chicago, California and the many states in between, covering 2448 miles in total. Whilst the Route 66 no longer serves the same purpose (it has since been replaced as a major route by the U.S. Interstate Highway System), it makes for a fantastic road trip. And some of the original road can be re-traced today, so you can follow in the tyre tracks of those who made the road famous. 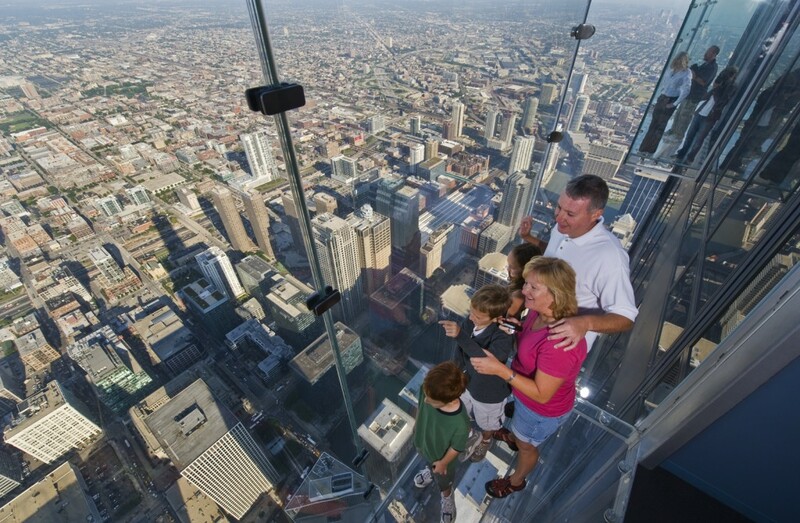 Enjoy the views across Chicago from the Willis Tower Skydeck. Chicago is a classic place to start your Route 66 adventure. Recover from your 9+ hour from London before hitting the road and enjoy a full day in the buzzing city. Once you’ve seen the views from the ground level, head up the Willis Tower to the look over the city from the 103rd floor. The Skydeck boasts a Ledge which stretches out 4.3 feet from the building, complete with a transparent floor so you can see right down to the street below. Probably not one for those who are scared of heights! Cross the historic Martin Luther King Memorial Bridge. 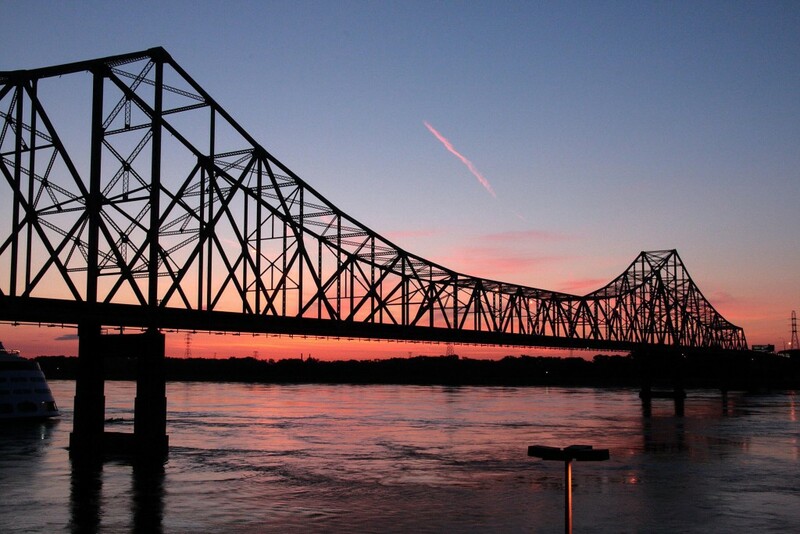 Next on your RT 66 road trip is a cross into St. Louis, Missouri over the Martin Luther King Memorial Bridge. St Louis boasts some super cool diners, and there’s also another chance to view the sights from above by taking a lift to the top of the Gateway Arch, giving you spectacular views of the Mississippi River. Get your music fix in “The Live Music Entertainment Capital of the World”. Whilst your journey takes you through Missouri, you may wish to take a pit stop in Branson to catch some live music or a show. You’ll be met with a whole host of theatres, pubs and music halls, plus many attractions, including the Branson Scenic Railway and Branson Zipline. Cruise in a stylish convertible. If you’re looking to complete the entire Route 66 journey, you’ll need to allow for a full 14+ days, and this will mean driving every day. At Bon Voyage we would recommend a roomy, comfortable car for the trip. However, we can also arrange for you to have a convertible for part of the journey – Las Vegas to Santa Monica, for example. Oklahoma boasts the longest stretch of original Route 66 miles, and here you’ll start to enjoy a beautiful change in landscape, from the rich croplands of the Midwest, to the red, dry and dusty Southwest. Enjoy the scenery in the Palo Duro Canyon State Park, Texas. You’ll soon cross into Texas, where you can enjoy the best scenery in the beautiful Palo Duro Canyon State Park, the second largest canyon in America. Here you’ll learn about the Apache, Kiowa and Comanche tribes who took refuge here. Whilst you’re there you can camp for the night, and explore the canyon by foot, mountain bike or even on horseback. Leave your mark, if only for a few hours. 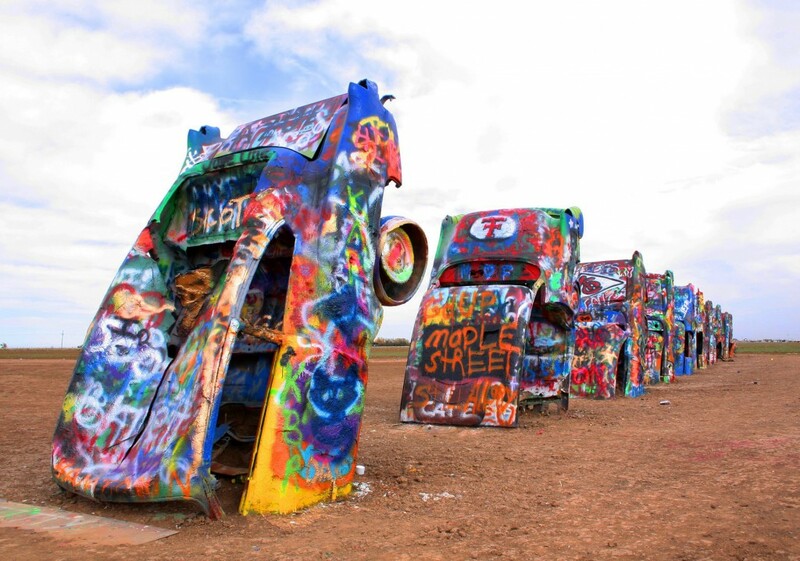 The Cadillac Ranch has become a popular stop when travelling the Mother Road. Made up simply of 10 cars stuck in the dirt and decorated in layers upon layers of graffiti, it’s certainly something you won’t see everyday. Enjoy the sight from the sidelines, or grab a spray can and get involved. But don’t get disheartened if someone comes along and sprays directly over your art, unfortunately it’s inevitable! Take a classic holiday photo (or 66). There’s no doubt that you’ll fly home with many new memories having crossed through eight states and three time zones. But there’s also a lot of iconic pictures waiting to be snapped. Tucumcari, is a must-do stop photo favourite, with the ’66 neon signs and that historic Tee Pee Trading Post. 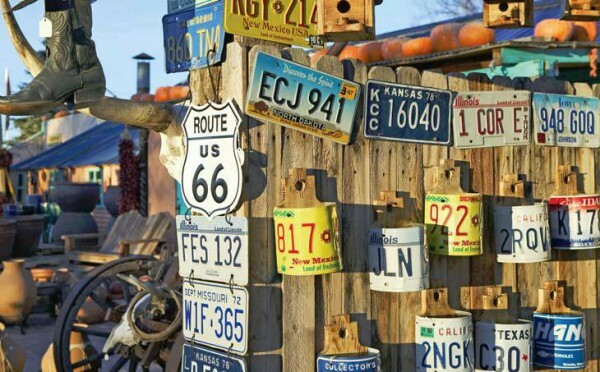 And it’s not long before you head into New Mexico, known fondly as The Land of Enchantment, with the second longest stretch of original Route 66 highway and perhaps the most unique roadside landscape. Make sure you’ve packed spare camera batteries! Meteor Crater. Before you rush off to see the Grand Canyon (that’s next up, we promise), take a pit stop at the fascinating Meteor Crater, approximately 30 miles from Holbrook, Arizona. 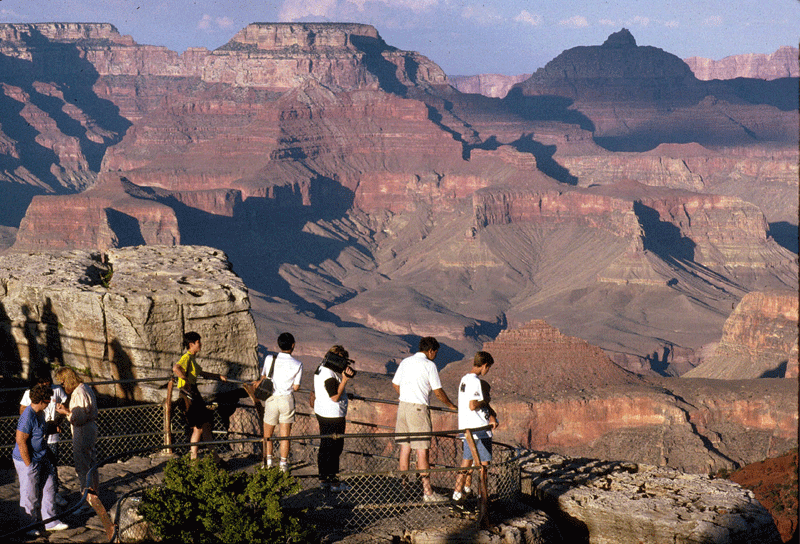 The 500 foot deep hole was created by a meteorite 22,000 years ago. Not quite as impressive as the Grand Canyon, but certainly an attraction to make time for. The Neon Museum in Las Vegas. This one is technically off track, but how could you not make a pitstop in Vegas when you’ve come all that way? Love it or hate it, it’s certainly an experience and the Neon Museum is worth a visit. Quite simply it’s a collection of Las Vegas signs displayed for educational, historic, arts and cultural enrichment. 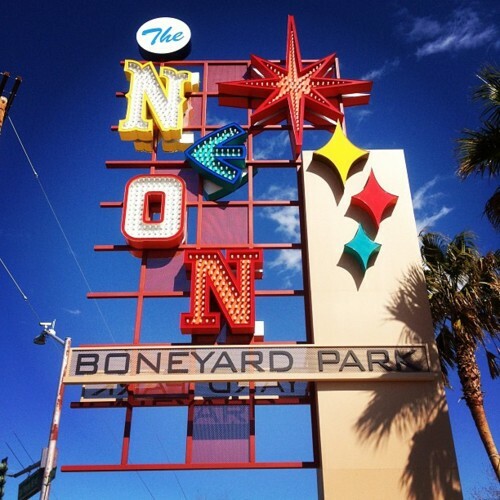 The Neon Museum is only available for hour-long guided tours, so make sure you book. Then, before you know it you’ll have passed through the Mojave desert, over mountains and through the lush inland valleys of California, where you will reach the bright lights of Hollywood and the beautiful beaches of Santa Monica. It’s here that your Route 66 trip must come to an end, and you can enjoy a dip in the beautiful Pacific Ocean before getting a flight home. 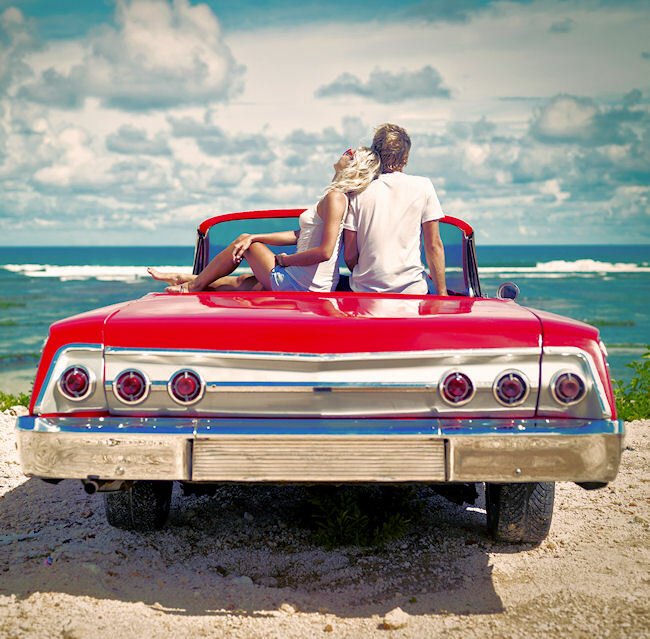 Would you like to find out more about booking your dream Route 66 trip? We help people plan USA holidays every day!